Science is everywhere—so why not introduce it to your kids early through fun and educational kits? Whether you want your little tike to be like Marie Curie, Sir Isaac Newton, or Charles Darwin, we’ve found the best biology, physics, chemistry, and science kits to spark your child’s interest. It’s important to get kids involved in science early so they understand the world around them. These science kits focus on critical thinking skills that will give your kid’s hands-on experience to build their curiosity and interest. Help your children discover the fun in learning by checking out these kits that teach them how to conduct their own experiments through the many different fields of science. Biology is an important area of science because it teaches us about our bodies and the environment around us. 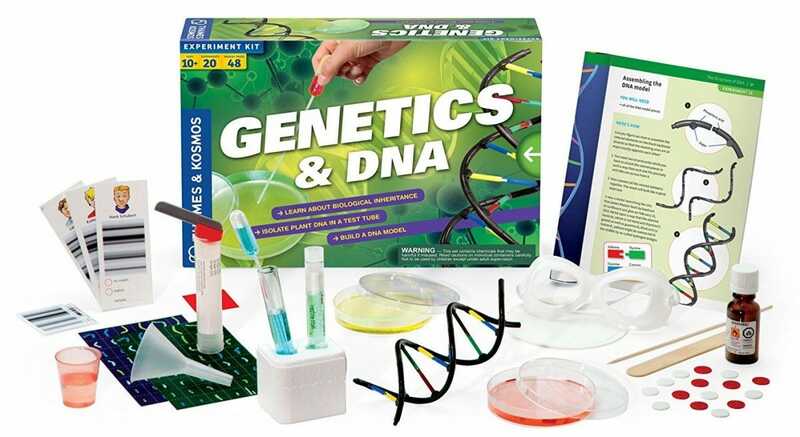 With this Thames & Kosmos Biology Genetics and DNA Kit, your child will jump into the world of heredity and variation of organisms by using a test tube to isolate tomato DNA. This in-depth kit is fun and it covers so many areas of biology that most kits don’t cover. No more boring Punnett Squares to learn about inheritance and passing traits from parent to child. Use models to understand how DNA is put together, then try to break genetic codes to understand what it’s composed of by pretending to solve a crime. 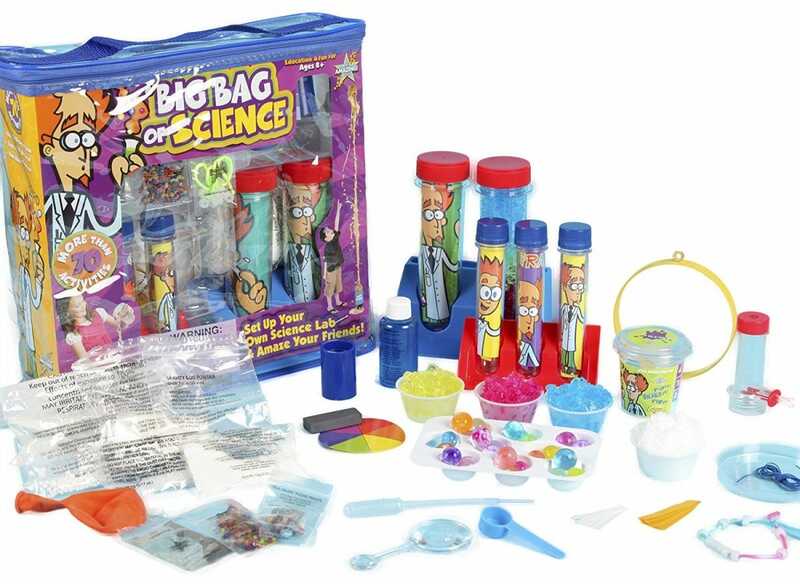 This kit also teaches your kids about the influential scientists who paved the way in the field, such as Francis Crick, James Watson, and Gregor Mendel. From genes, heredity, traits, and inheritance, to reproduction, cellular components, DNA sequencing, and genetic engineering—this kit will teach it all in a fun and educational way that your kids are sure to love. 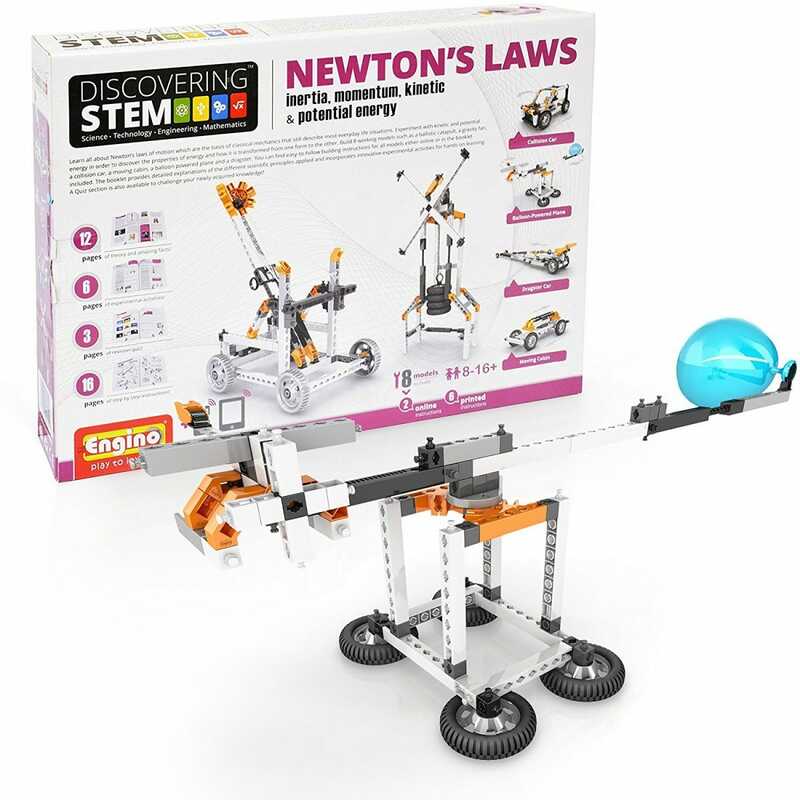 Sir Isaac Newton discovered many integral concepts that are important for scientific discovery today, and this kit teaches them all: inertia, momentum, kinetic energy, and potential energy. This Engino Newton’s Law Kit is perfect for the kids who are very hands-on and like to build things. Your kids will understand how classical mechanics works by constructing their own catapult, balloon powered plane, drag racing car, crash car, and more. Not only will your kids build these physics machines, but they’ll also learn about the theories and facts behind each by understanding Newton’s Laws. For ages 8 and up, the Engino Newton’s Law Kit will teach your kids the effects of potential and kinetic energy by conducting one of the 8 included experiments. By the end, they’ll understand how energy is transferred from one car to another during a crash, or how an object gets catapulted from its machine. Another physics kit that is sure to interest your child if they enjoy the Engino Newton’s Law Kit is the Klutz LEGO Chain Reactions Kit. This one teaches your kids about chain reactions and moving machines while also encouraging creativity and ingenuity by building their own. Plus it uses LEGO bricks they can play with when they’re done experimenting. What better way to teach your kids about science than with more than 70 experiments in a big bag? 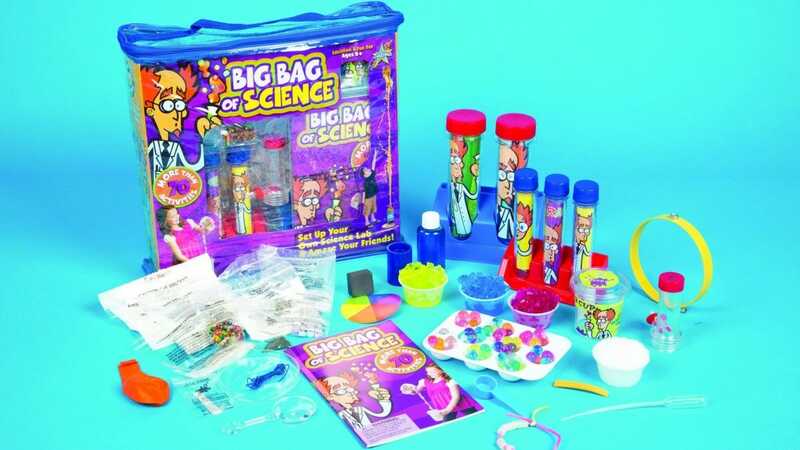 The Big Bag of Science contains scientific ingredients and a book of 30 pages filled with experiments like soda geysers, twisting tornadoes, growing jelly marbles, vanishing liquids, and more! The instructions are easy-to-follow and color-coded so your child will easily complete the experiment without any trouble. The book explains what’s going on in each experiment so they understand why and how things work. The Big Bag of Science is filled with all sorts of scientific ingredients and tools for your child to conduct his or her experiments. The bag also helps to teach observational techniques and skills like understanding measurements, experimentation, and analyzation. Note that there are some ingredients not included that can be found in the house (like soda). While this kit is for kids ages 6 and up, you can check out the Kids First Science Laboratory Kit for kids ages 3 to 5 if you want to introduce them to the world of science even earlier. This kit includes 24 tools, a parent guide, and 10 experimental cards for your child to follow. While The Big Bag of Science included some fun chemistry experiments, My First Mind Blowing Science Kit focuses solely on chemistry and chemical reactions. Want to witness a sunset in a test tube? What about a color-changing (or even underwater) volcano? This kit includes ingredients your child will need to conduct these colorful experiments over and over again—or at least until the powders, polymers, and oils run out. 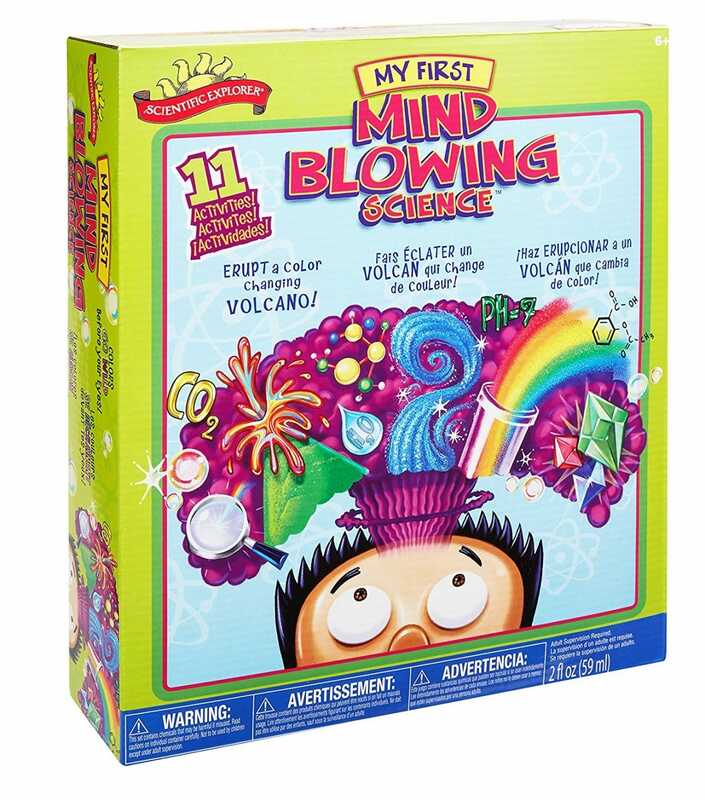 My First Mind Blowing Science Kit also comes with cool scientific tools like test tubes, pipettes, stirring sticks, and measuring scoops that will make your child feel like a real chemist. Not only will they learn important skills in conducting experiments, they will also learn the basics of acids and bases. While none of the experiments are particularly messy, it’s safer to perform them on a flat surface with adult supervision. Another fun chemistry topic that your child may enjoy if he or she liked the crystals experiment in My First Mind Blowing Science Kit is the 4M Crystal Growing Experiment. This kit not only teaches your kids about the chemistry behind crystals, but also makes beautiful displays once the crystals are fully grown.